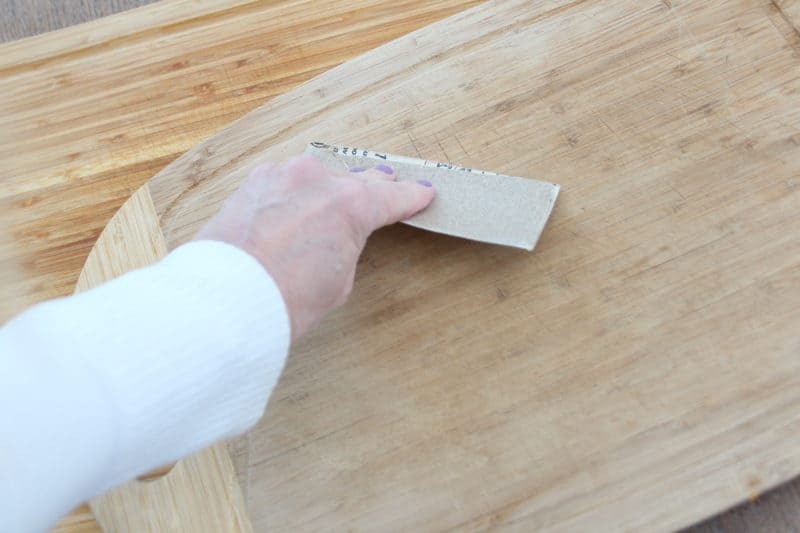 SOOOOOO…..a week or two ago in the Home Basics I Can’t Live Without post I talked about wood and bamboo cutting boards, and it reminded me of this quick and easy tip I wanted to share with you! 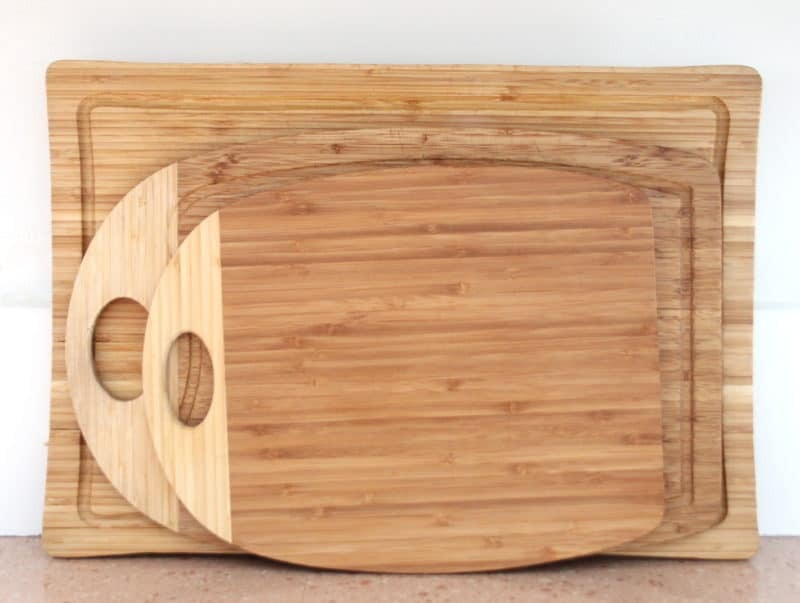 Did you know that your bamboo and wood cutting boards should be oiled occasionally? This practice keeps boards from cracking and breaking, like this board in my cabinet that has never been properly oiled. 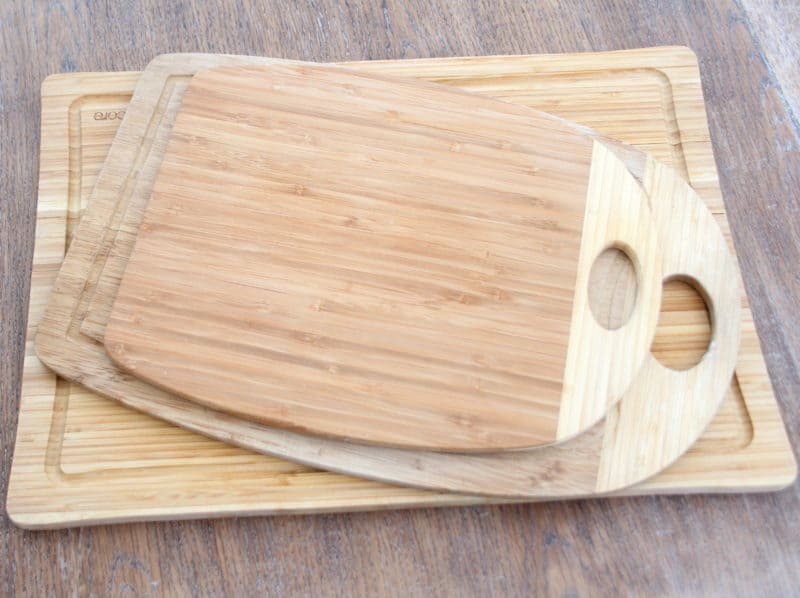 Also, while wood and bamboo are already naturally anti-bacterial (even more so than silicon boards), oiling them can add another layer of protection from microscopic buggers that might want to contaminate your food. If your boards are particularly beat up and stained, use medium grit sandpaper to give them a fresh surface, then wash and dry overnight. 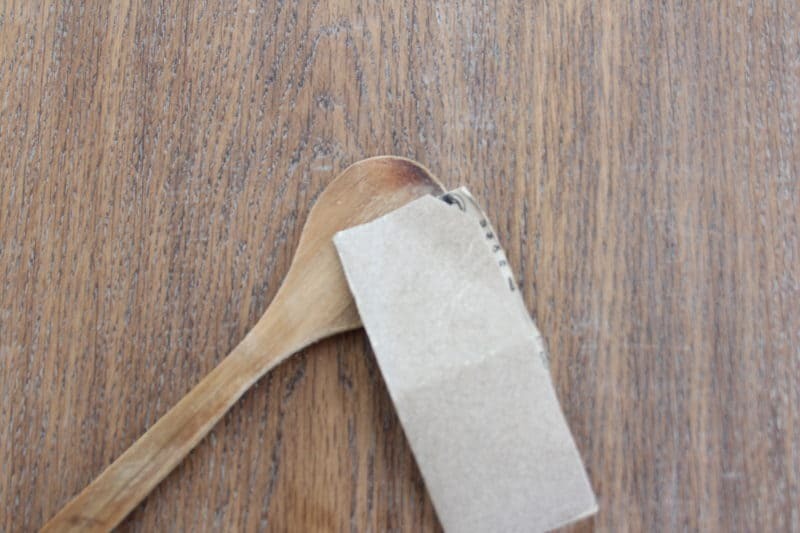 Wooden spoons can also be sanded, washed and oiled! There are MANY opinions about the best oils to use for this purpose. Definitely avoid vegetable oils, including olive oil, which can turn rancid. While coconut oil can also turn eventually, it is much more stable and a great alternative to the commonly used mineral oil – just keep an eye on the expiration date. 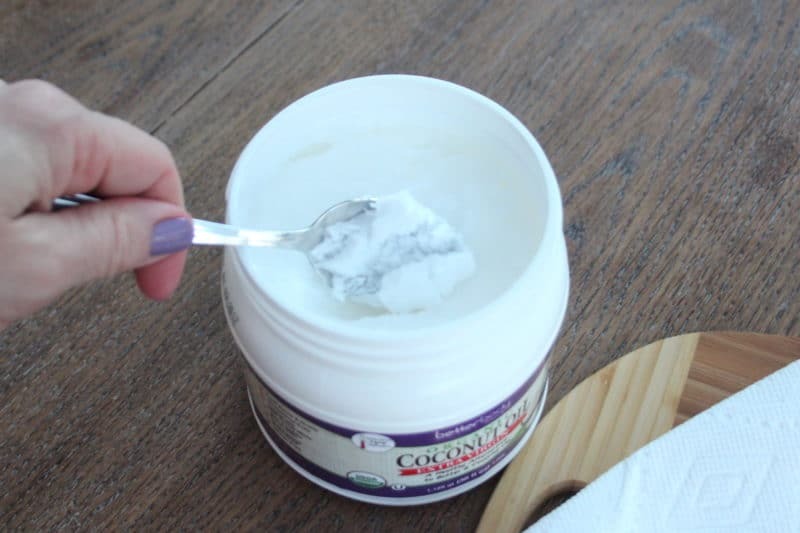 Coconut oil is solid at room temperature, but quickly melts at your touch or with friction. 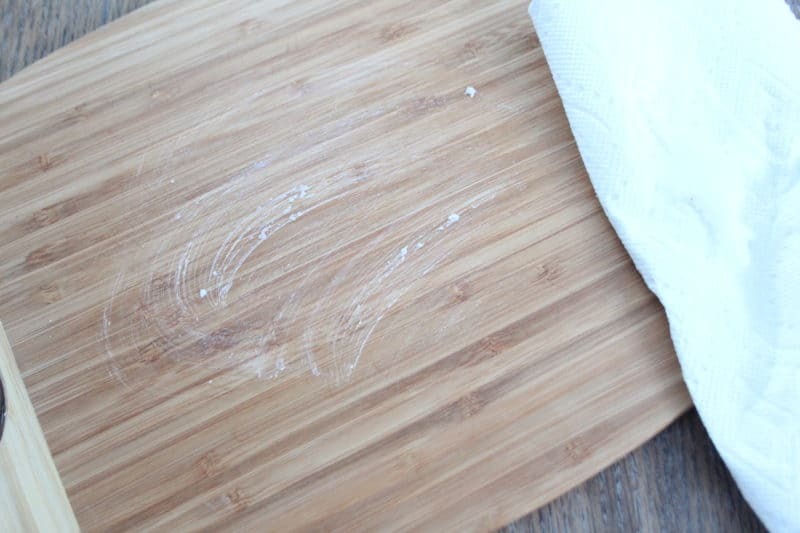 I put a spoonful on the cutting board and use a rag or paper towel to rub it all over both side and the edges. 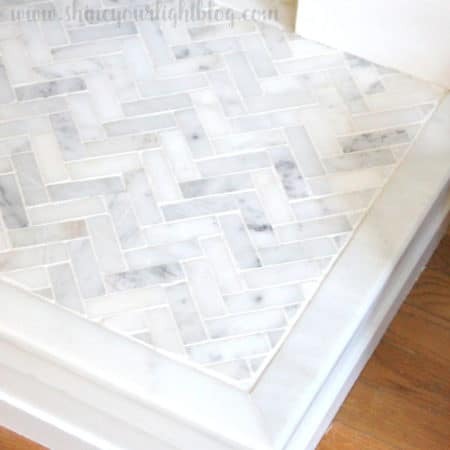 If you have graphics on one side of your cutting board and don’t use it for cutting, go ahead and oil that side too. 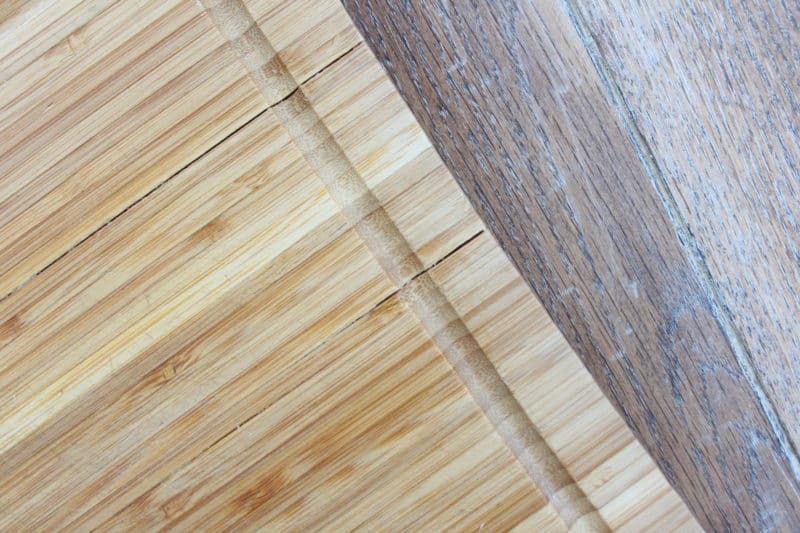 Your board can warp if one side is dry and the other is oiled. 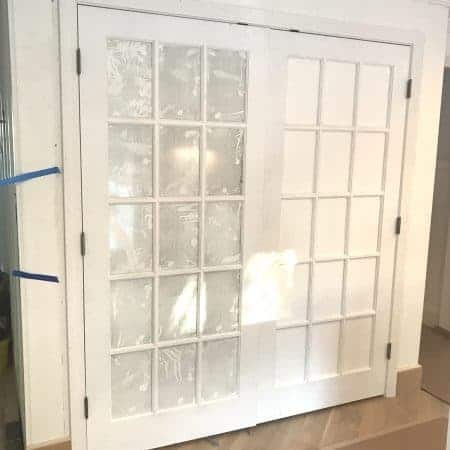 I used to recommend spraying Minwax poly on DIY graphics, but have since learned the virtues of oiling both sides! See the post about transferring graphics with wax paper here. 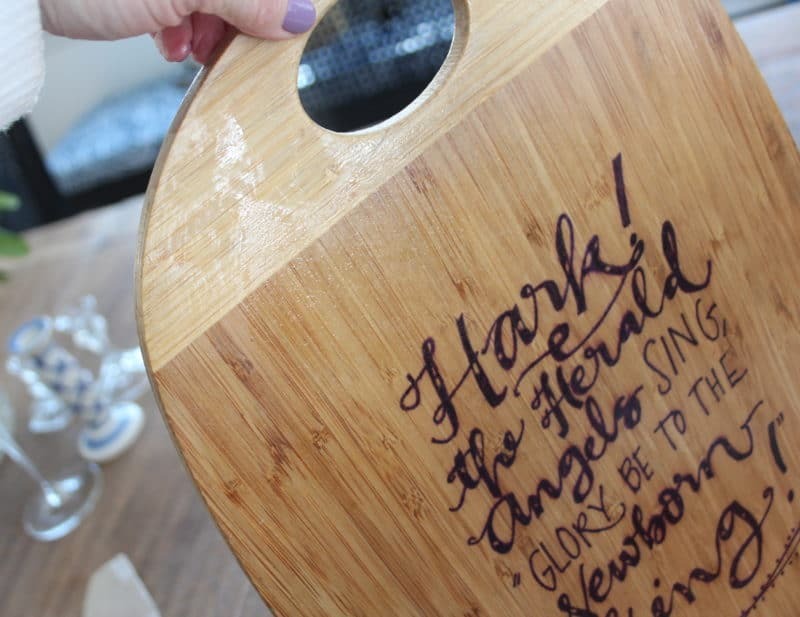 I enlarged the beautiful free printable calligraphy gift tags from The Hive Studio (formerly LindseyBee) to adorn the cutting board above; outside of the Christmas season I turn the plain side out on my counter and use it every day when cooking or making the kids’ lunches. I let the oil absorb into the wood or bamboo for a bit, then give them another coat. We cook a lot in this house and these boards get a ton of us, so I oil them probably once a month, whenever they are starting to look dry and absorb water when I wash them. 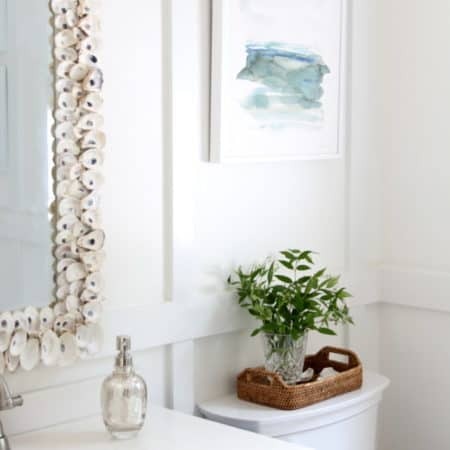 If you poke around the internet for any amount of time you will read a million different opinions on whether coconut oil is appropriate for bamboo or wood boards – all I know is I have been using it for a long time on my wood boards and spoons, and never had a problem with it turning rancid or getting funky on me! You can buy fractionated coconut oil that has been refined and sold as a liquid, but I find the solid un-fractionated coconut oil is fine for my boards. While food grade mineral oil is supposedly refined enough to not give off toxins, and is widely used by chefs, wood and bamboo cutting board companies, and know-it-alls everywhere, coconut oil is an all natural alternative that I have on hand in my kitchen, I know is safe for my family, and works great at protecting and hydrating my cutting boards! If you’re wondering, the coconut taste does not transfer to the food you are cutting. Make sure cuttings boards you buy are formaldehyde/BPA free. Homegoods/Marshalls/TJ Maxx always have a great selection of wood and bamboo boards or visit the Shine Your Light Amazon Shop for a few other recommendations! 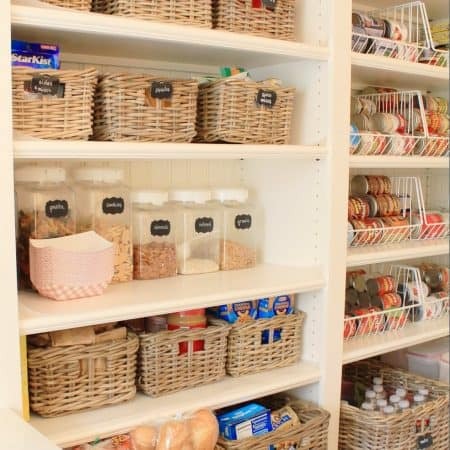 A few other Quick Tip Tuesdays for the kitchen you may enjoy….. It really keeps the boards from cracking and makes them water repellant! Plus it’s a breeze to do!